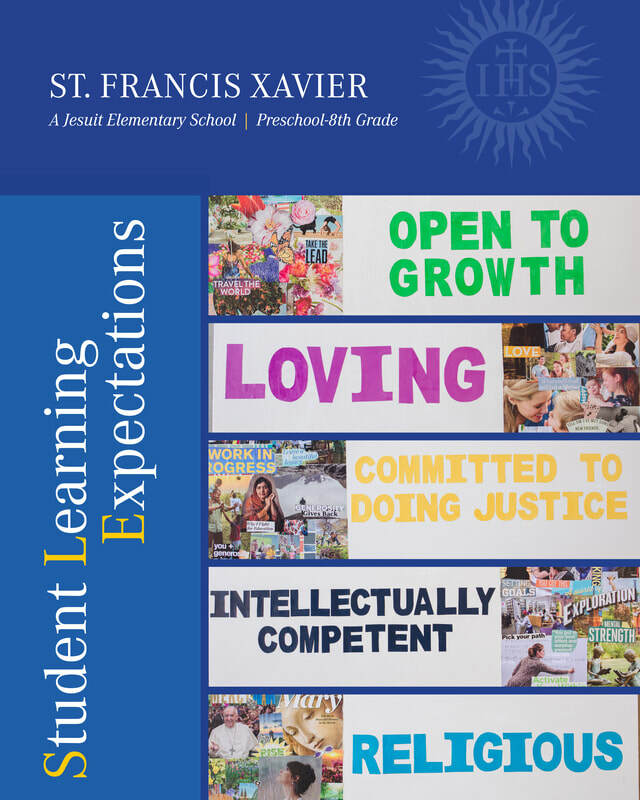 As an elementary school of a Jesuit parish, St. Francis Xavier School shares in the characteristics of Jesuit education that are rooted in a common vision and common goals. The focus of this vision is to provide the fullest possible human development during the formative years of a child’s life. At graduation, the graduate of St. Francis Xavier School is religious, loving, intellectually competent, open to growth, and committed to doing justice. Our total school program is designed around these expectations that we hold for our students. Actively participates in private or liturgical prayer. Uses Christ as a model for living. Applies Christian conscience in making moral choices. Respects and celebrates human diversity. Responds appropriately to complex interrelationships. Is capable of putting self in another person’s place and understanding what that person is feeling. Is more sensitive to the beauty of the created universe and is more caring about life and the natural environment. Gathers, recalls, and applies information to new situations. Takes responsibility for growth as a person. Is learning how to accept self, both talents and limitations. Understands and practices self discipline skills. Applies prior experience and knowledge to new situations. Displays an understanding of the call to treat others justly. Demonstrates an understanding of putting faith into action. Participates in community service projects. Affirms the dignity and rights of others. Participates in cooperative learning activities.